My husband and I have known Dr. Ed Berger for years as neighbors and as educators who worked with their two sons in school. 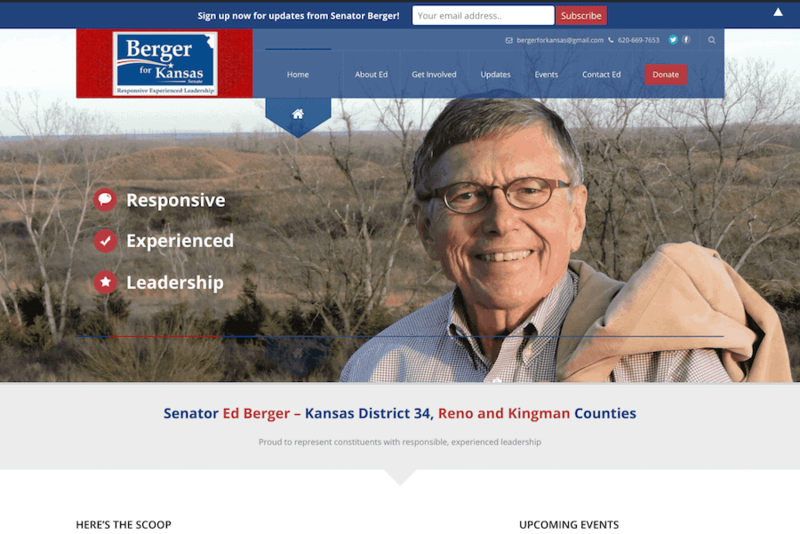 When I was asked to create a political website for his campaign to represent District 34 in the Kansas Senate, I was pleased to be able to contribute to his campaign in this way. I truly believe that he will bring more responsible leadership to the citizens of Reno and Kingman counties. This website serves several functions for the campaign. It presents Ed’s positions on the major issues facing our state, shares information about upcoming events, and provides ways to contact the team. In addition, online donations can be made through the website.